For years most men had one option when it came to the metal of their watch: silver. Bright yellow gold seemed to be the choice for old guys like your dentist, who had been sporting their blingy timepiece since the 70’s when the precious metal was more popular. 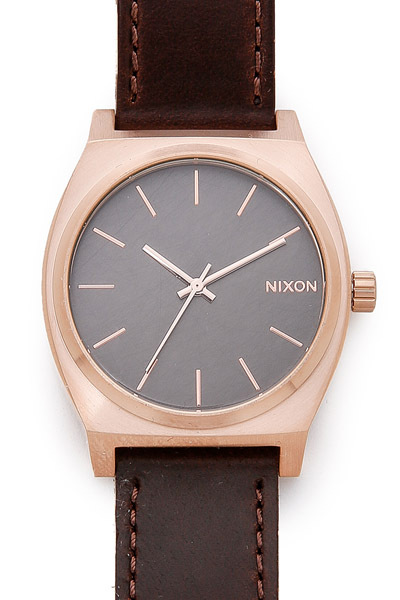 And while silver watches are still beautiful and classic, things did start to feel…limited. That’s all changed with the resurgence of rose gold; an alloy made by mixing gold and copper, which first became popular at the turn of the 18th century. The best part? 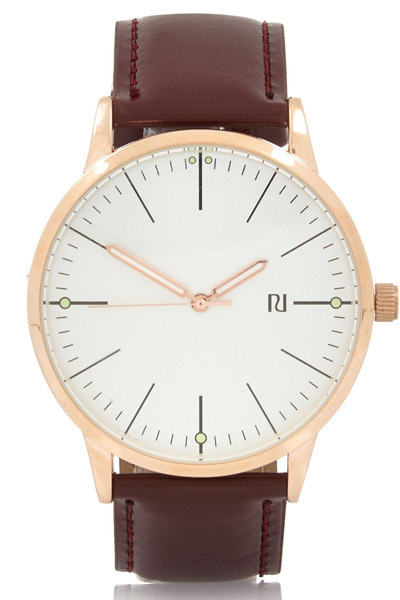 Rose gold looks great on any skin tone and pairs well with any color. 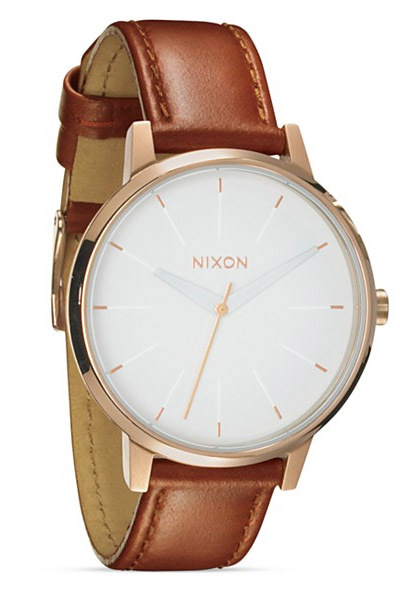 Rose gold is more muted than it’s flashy yellow father, creating a sophisticated, detailed look without feeling like you’re a teenage girl wearing a gold Michael Kors tank on her wrist. 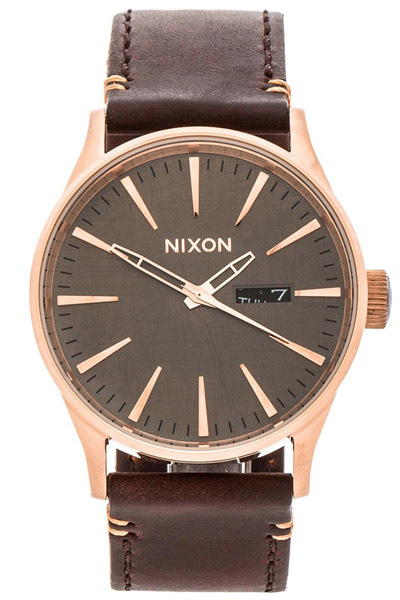 It has the perks of both gold and silver; a timeless class with a gentlemanly subtlety. 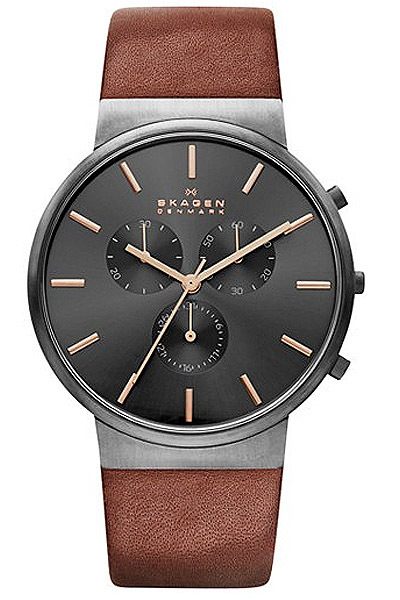 Our pick is this clean, open design from Brathwait, the cut-out-the-middleman brand creating minimalist timepieces with the components of luxury brands. 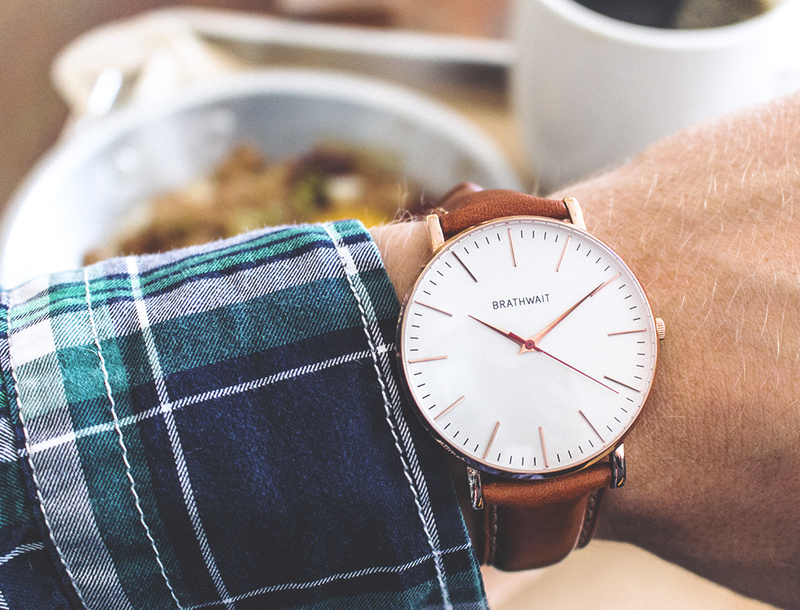 Quickly becoming the Everlane / Warby Parker of the watch world, Braithwait participates in radical marketing transparency including their cost of each of the components as well as their markup. 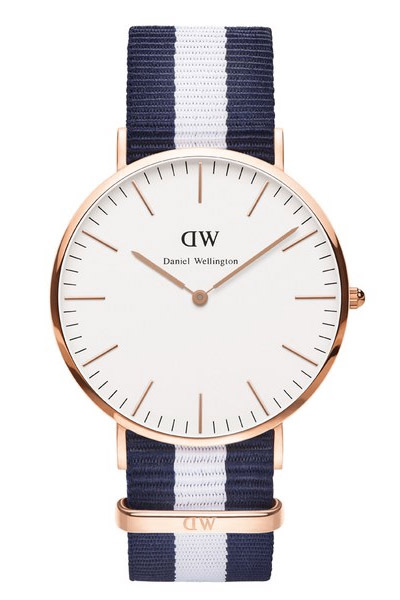 The Classic Slim Watch shown here features a handmade Italian calf leather strap, but is also available in several sharp NATO straps. 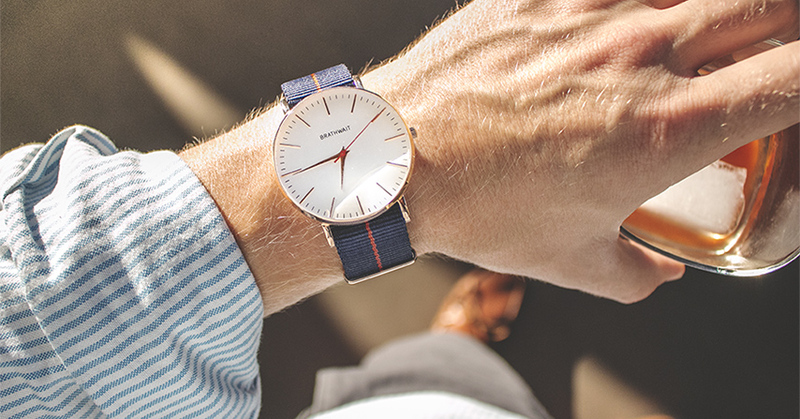 Pick up the Classic Slim for $185 with a leather strap or $150 with a NATO. 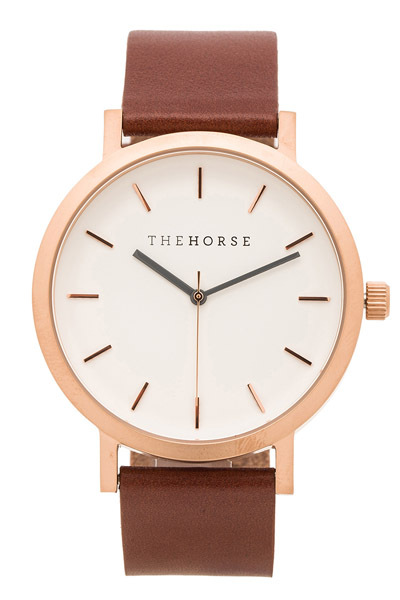 I do like the look of rose gold. I like what you said about it. It’s a perfect middle ground between the flash of gold and the subtlety of silver. That’s a great question! In most situations I don’t worry that much about matching them, unless it looks really jarring. 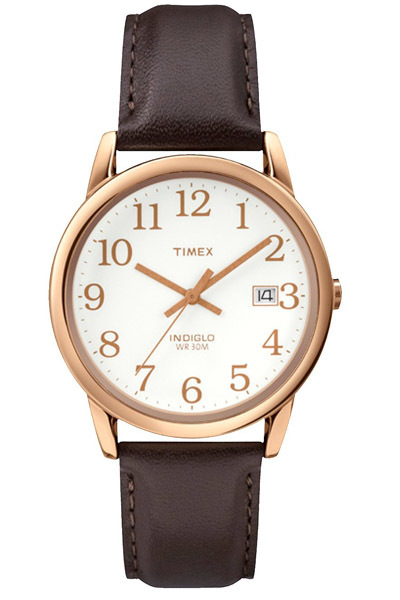 The benefit of rose gold is that it’s so subtle you can wear it with either gold or silver. I can personally appreciate this question because, as I’ve come to learn, if you can, you should match your metals. The downside for some of us with a slight non-clinical OCD diagnosis (cough-not-me-cough) is that some will do whatever they can to match. (IE: I couldn’t find a belt with the proper leather color or metal tone, so I took to learning leather work to create my own.) With an unlimited budget, my “problem” could be remedied, but since I woulnd’t consider myself “well-off”, I am forced to stick with just one metal in order to circumvent the issue before it becomes one; brushed stainless. Have to say, the Brathwait customer service is pretty horrendous. I loved the look of the watch and made an order. I needed to make a change to the address and immediately sent an email post order. That was 3 days ago. According to their website, they “love email”. Well, 5 emails later and not one response, I have to assume that they don’t. 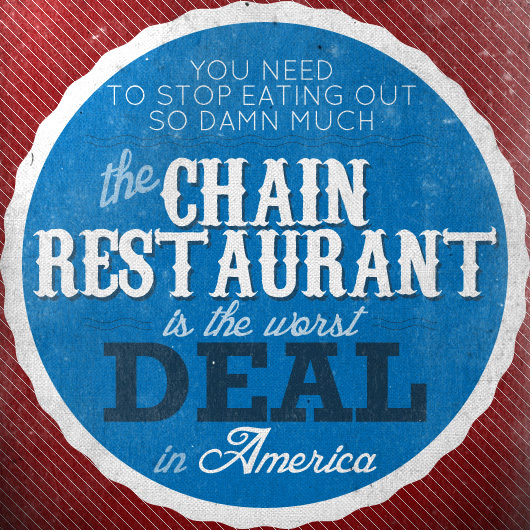 Will be cancelling the order.